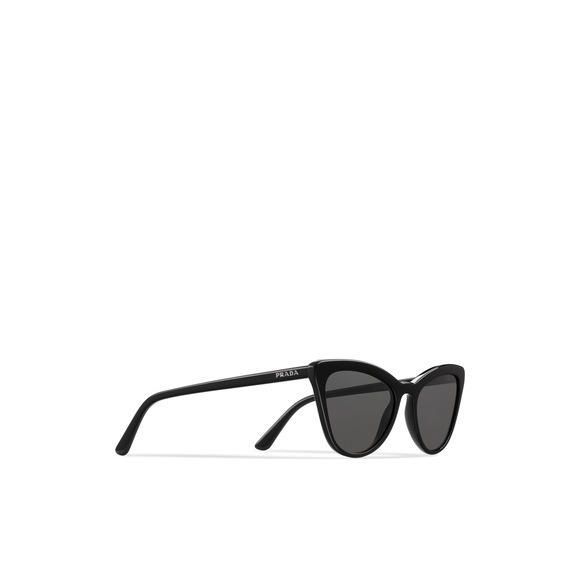 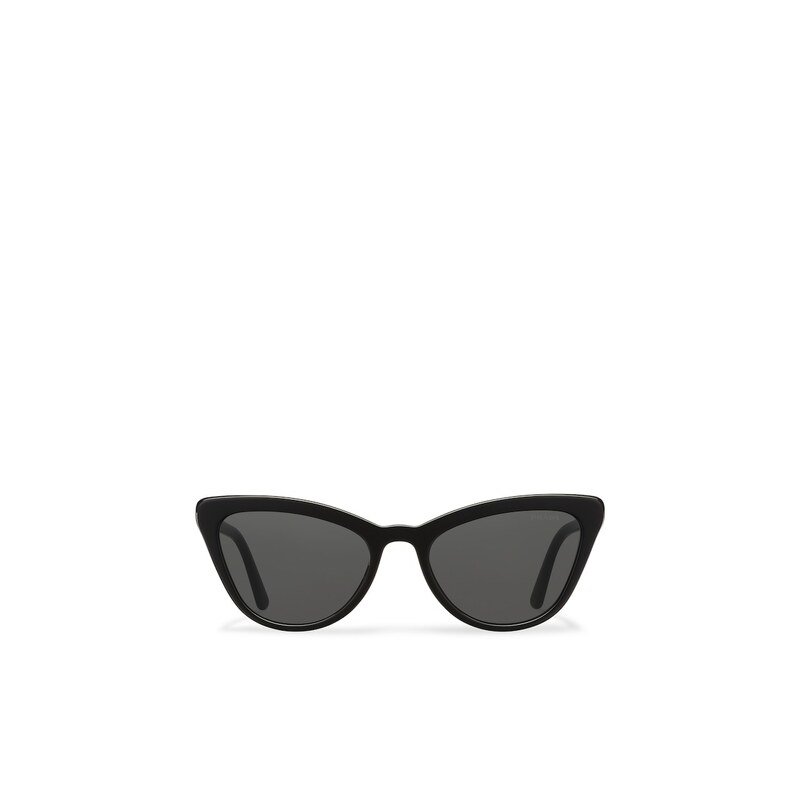 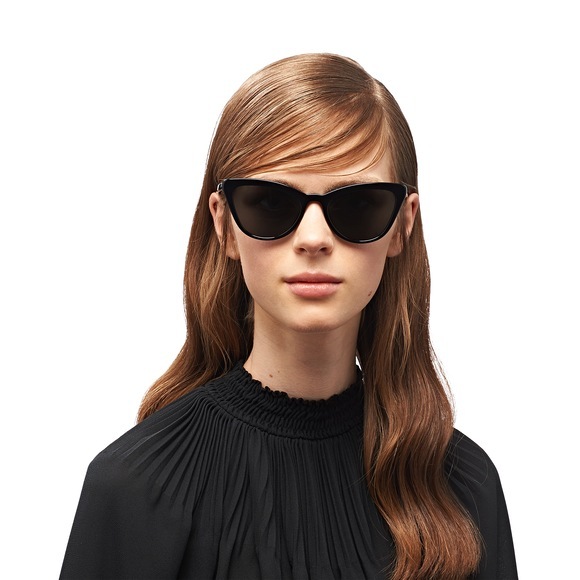 Sunglasses from the Prada Ultravox collection. Feminine cat-eye silhouette with sleek lines. Distinctive colored acetate inserts on the frame front. 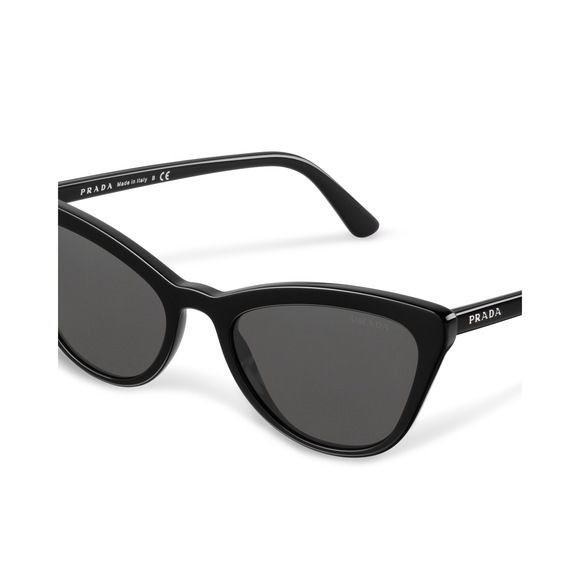 Prada lettering logo.